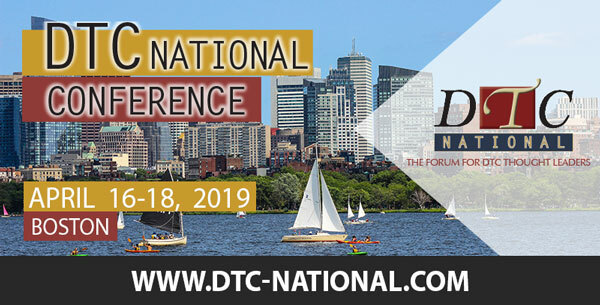 This year’s class will be honored during a joint ceremony dinner recognizing the 2019 Top 25 DTC Marketers and Hall of Fame class on the evening of April 16 sponsored by PatientPoint, at the 2019 DTC National taking place in Boston. It includes representatives from more than 15 different manufacturing companies, with each marketer championing both the interests of the patient and brand. “PatientPoint and I congratulate the 2019 Top 25 DTC Marketers of the Year. These industry leaders have positioned their brand as true partners to patients throughout the care journey with innovative solutions that enrich the entire healthcare experience. We look forward to honoring their impressive achievements at the DTC National Conference and partnering with them on continued success,” says Linda Ruschau, Chief Client Officer of PatientPoint. Janice Adewuyi, Director of Product Management, Aptensio XR®, Rhodes Pharmaceuticals L.P.
Christa Albeck, Patient Marketing Director, XELJANZ®, Pfizer, Inc.
Matthew Arm, Associate Director, Multi-Channel Promotions, Merck & Co.
Becky Chow, Director, Consumer Marketing, NUPLAZID® (pimavanserin), ACADIA Pharmaceuticals Inc.
Tara D’Andrea, Senior Director, HCV DTC/P Marketing, Gilead Sciences, Inc.
Sarah Dooley Durant, Associate Director, Vivitrol Consumer Marketing, Alkermes, Inc.
Gisell Guzman, XELJANZ Patient Marketing Team, Pfizer, Inc.
Christy Lopé, CHANTIX Consumer Marketing Lead, Pfizer, Inc.
Dan Pinto, Product Director, Consumer Marketing, Cardiovascular & Metabolism, Janssen Pharmaceuticals, Inc.
Elizabeth Rosato, Consumer Marketing – Repatha, Amgen, Inc.
Betty Webb, Manager, Patient Marketing & Digital Health Innovation, Novo Nordisk Inc.
Click here to register for the DTC National Conference or contact the DTC Perspectives office at 770-302-6273. Congratulate the Top 25 DTC Marketers in-person and in our publications! DTC Perspectives offers reserved tables with seating for 10 at the Top 25/Hall of Fame and Advertising Awards ceremonies as well as congrats ads opportunities in our DTC Perspectives Magazine/DTC National Conference Guide, on our website, and in Email announcements. 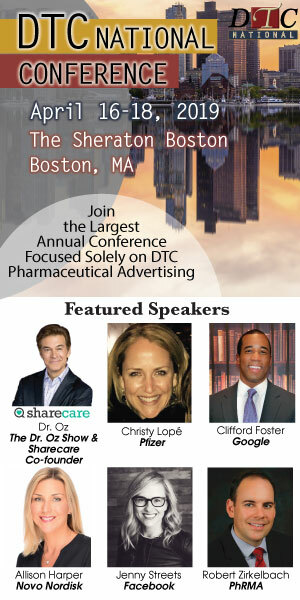 Click here to view awards packages and congratulate a Top Marketer/DTC Hall of Fame inductee today.